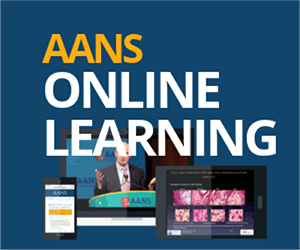 AANS Neurosurgeon welcomes articles that are written by neurosurgeons and others who have knowledge of topics that directly affect neurosurgeons and the practice of neurosurgery. Please note that the article submission process for AANS Neurosurgeon has changed. If you are interested in submitting an article for consideration, you first are strongly encouraged to review the guidelines for authors, available by following the links below. Questions? Contact AANS Neurosurgeon’s editors by emailing aansneurosurgeon@aans.org.